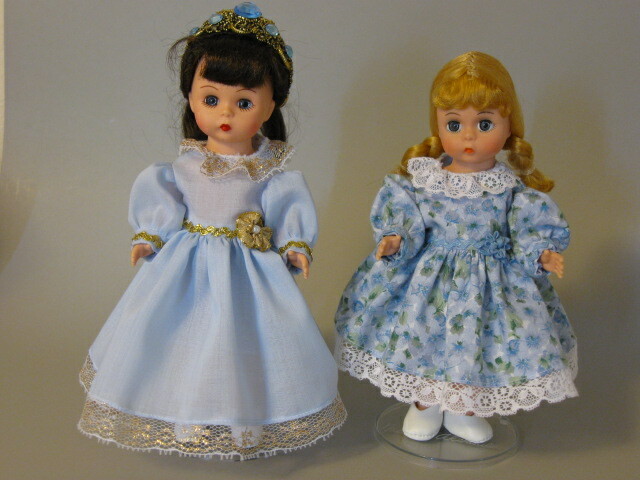 We have just put my newest pattern, “Princess Ballgown and Classic Dress” on line. 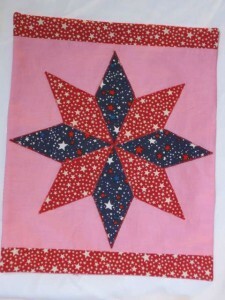 I have had a lot of fun designing this pattern. Here are two Madame Alexander dolls wearing the dresses. If you would like to see other small dolls wearing the dresses, go to my pattern page and select the doll of your choice from the drop down window. 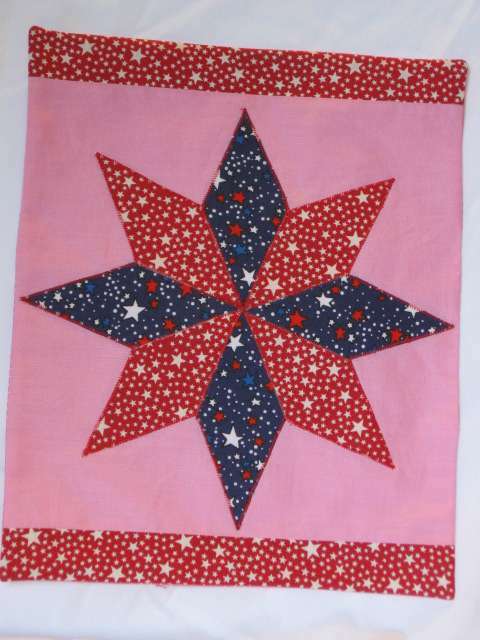 The free pdf of quilt blocks now contains a third quilt block. 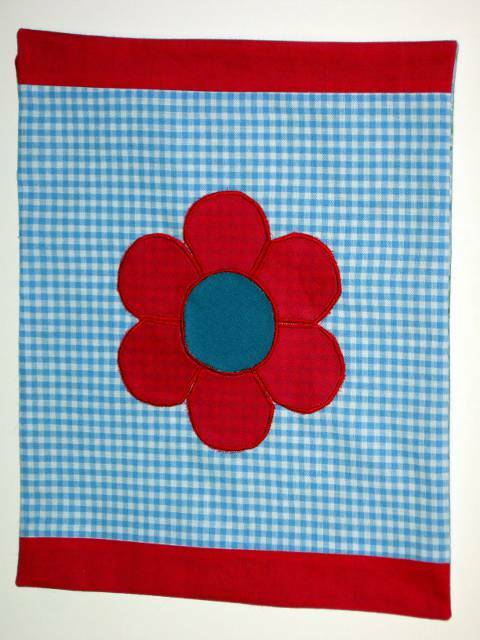 In addition to the mini Dutch Doll blocks, and the large Dutch Doll block there is a pattern for a flower applique quilt block. I was thinking of Florabunda when I made the flower quilt. 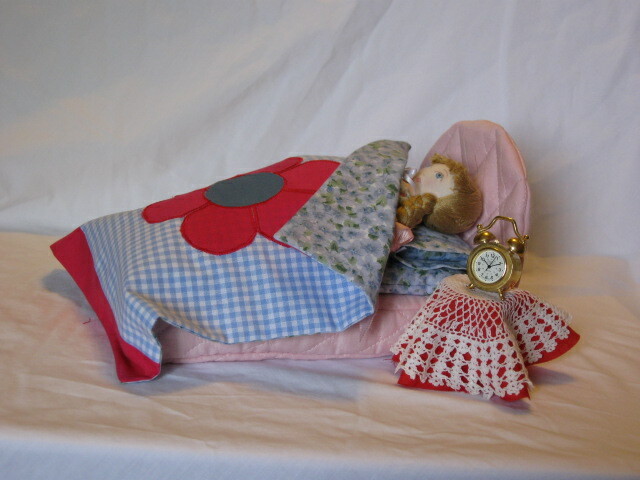 Here she is taking a nap with her flower quilt. 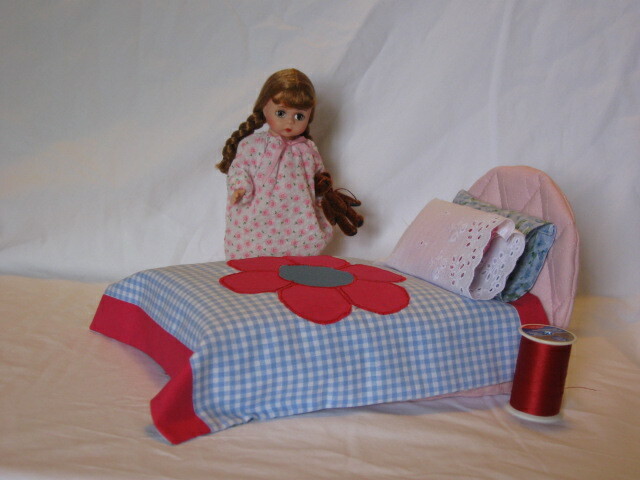 Other dolls can use the quilt and bed, too. 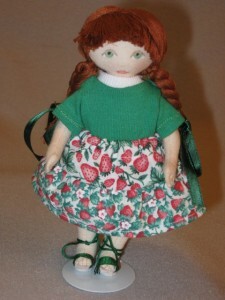 My Madame Alexander Wendy would fit the bed just fine. I just discovered that the Alexander Doll Company is now making their small Wendy doll a little larger than the dolls they made a few years ago. 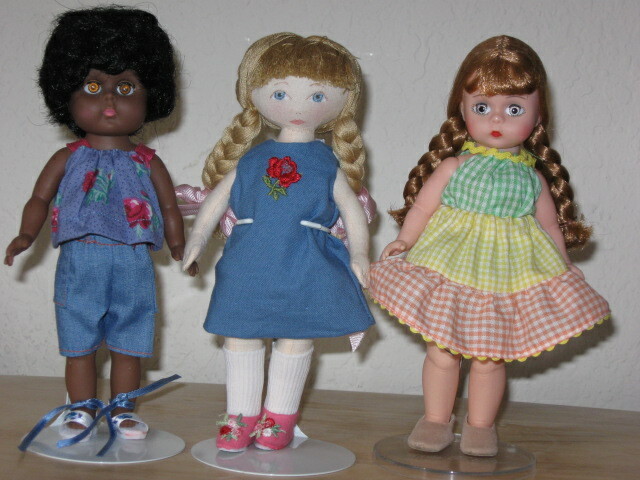 This information is important to me because I am trying to design cloth dolls that can share their clothes patterns with commercial dolls. 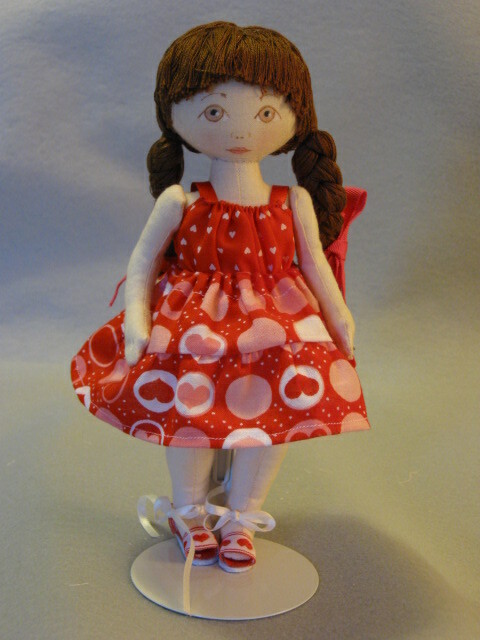 Wendy is one of several small dolls that can share clothes with Floribunda. 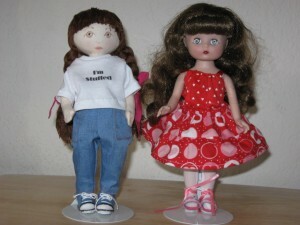 The new Wendy can wear some of Floribunda’s clothes, but the jeans are a tight fit. 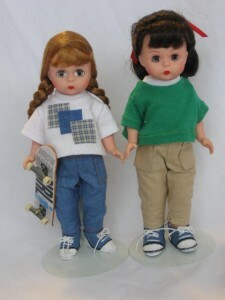 The new Wendy is wearing Floribunda’s green t-shirt and khakis. 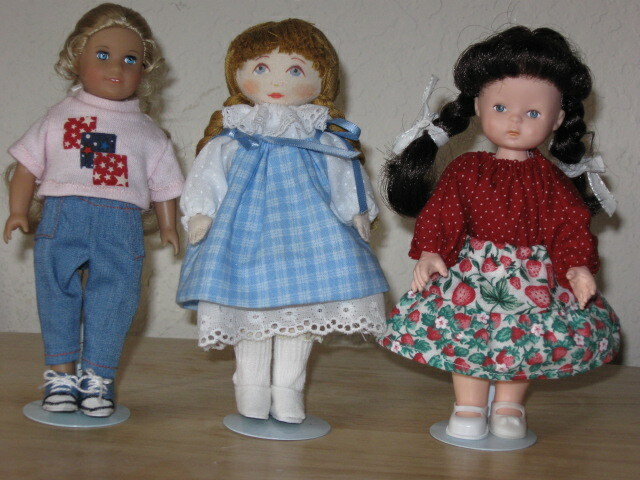 The smaller Wendy’s outfit was made by the same pattern. If you look closely, you can see that the khakis on the new Wendy are a little shorter and are a tighter fit than the jeans on the older Wendy. The new Wendy also has bigger feet. She is wearing my larger doll’s, Tender Heart’s, shoes. Measure your Wendy before deciding on the pattern to use for her clothes.